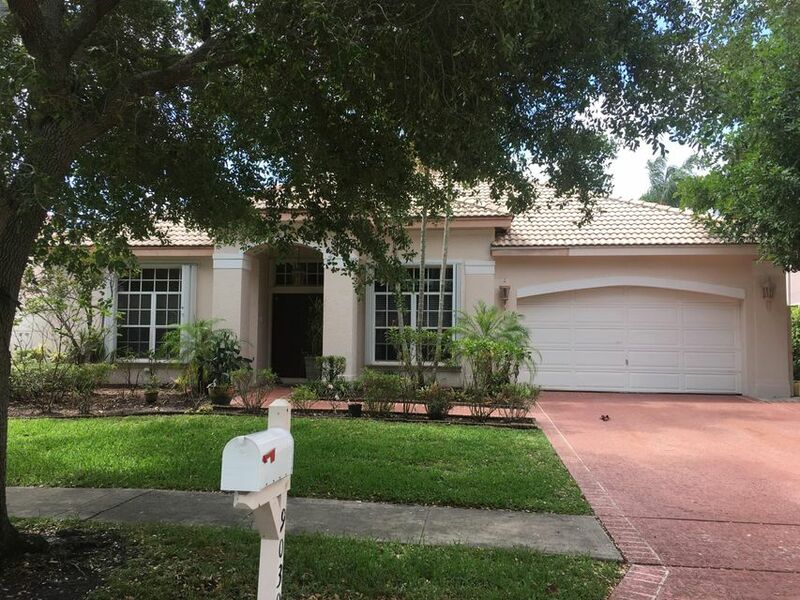 BEAUTIFUL SPACIOUS HOME SET ON A SERENE LAKE VIEW LOT ON QUIET STREET. ENJOY YOUR MORNING COFFEE IN THE CAFE AREA OVERLOOKING FULL VIEW OF LAKE. SPLIT BED ROOMS AFFORD PRIVACY. WALK INTO THIS MOVE IN READY HOME WITH VOLUME CEILINGS AND BEAUTIFULLY ETCHED FRENCH DOORS TO ACCESS GLASS AND SCREEN ENCLOSED LANAI.THE SPACIOUS MASTER BEDROOM SUITE HAS COFFERED CEILING, 2 AMPLE WALK IN CLOSETS, AN ADDITIONAL CLOSET, SITTING AREA AND MASTER BATH WITH HIS AND HERS SINKS, SEPARATE ROMAN TUB, WALK IN SHOWER WITH BENCH AND TOILET WITH POCKET DOORS. THE LAUNDRY ROOM IS EQUIPPED WITH WASHER/ DRYER, CABINETS, SINK WITH CABINET AND ACCESS TO ATTACHED GARAGE WITH ADDITIONAL STORAGE CABINETS, SINK, CEILING FANS AND GENERATOR HOOK UP. ACCORIDAN HURRICANE SHUTTERS THROUGHOUT. 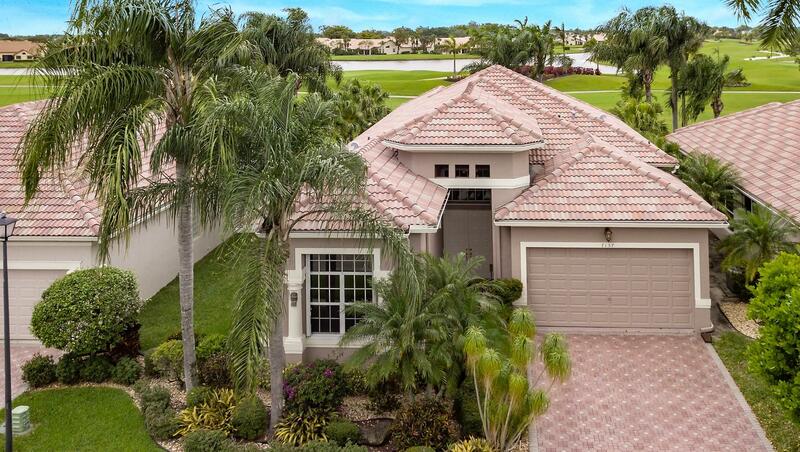 This home is located in Ponte Vecchio 55+ Active Adult Community. As an Active Adult Community Specialist for over 16 years, I know these communities very well. I am a real estate agent who cares. I don't just want to sell you a house, I want to sell you the perfect home that will fit your needs as well as your lifestyle. I live and play in an active adult community and the lifestyle is wonderful. Country Club living without the country club fees. To All of my baby boomers not quite 55 years old who want to live in a 55 plus community, please call me for a list of Active Adult Communities that will allow you to live in some of these wonderful communities! Please call me with any questions that you may have at (561)-306-7430.